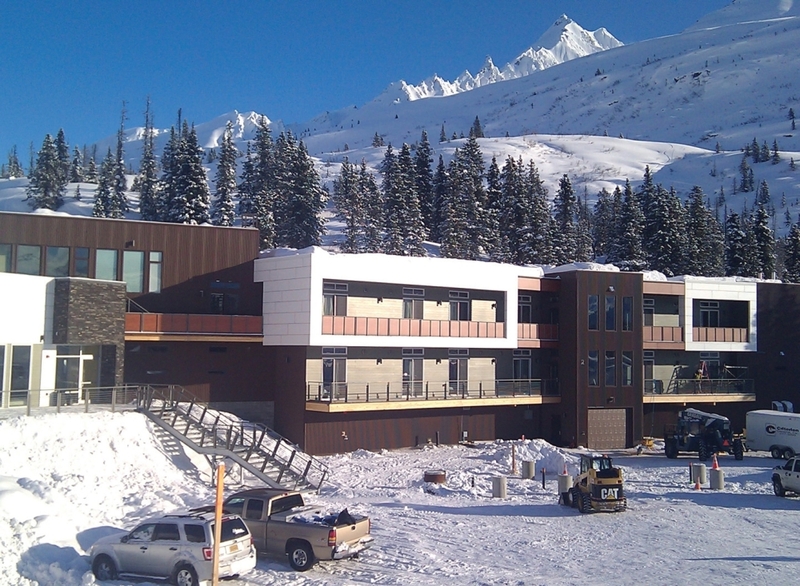 In the fall of 2011 a massive undertaking commenced: the construction of a new, modern lodge to be completed by the 2012 heli-ski season. 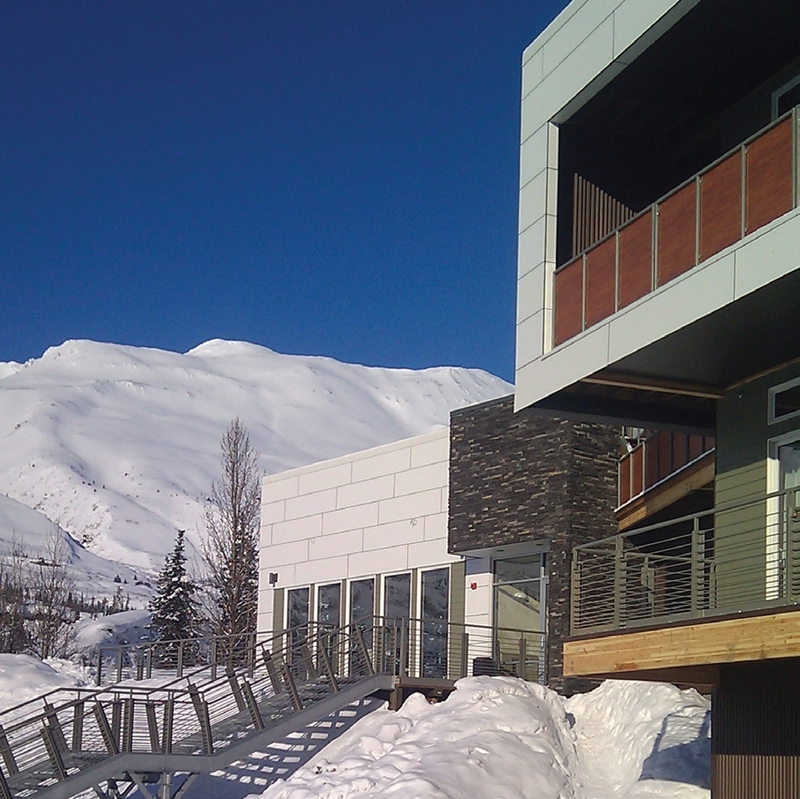 Thanks to an amazing construction team who persevered through a mighty Alaskan winter, the new Tsaina Lodge opened its doors March 3, 2012. Stonewood was able to meet the tight construction deadlines and color matching desired by the architect. 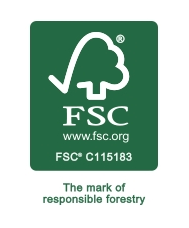 Panels were delivered within three weeks, and rail panels were cut on site to ensure proper fitting. 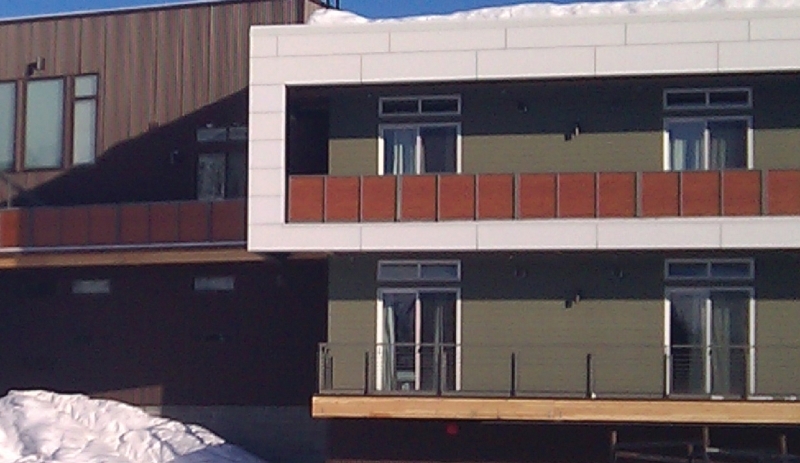 Located in the heart of heli-ski country, the elite Tsaina Lodge used Stonewood Architectural Panels to clad their newly renovated lodge. Stonewood Architectural Panels in Designer White and accented railing with Wild Cherry.